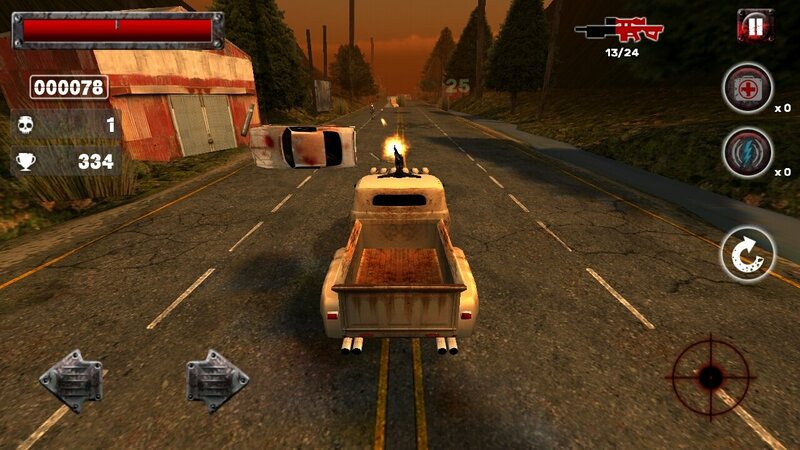 A game that combines cars and zombies. That's exactly what Zombie Squad is, a title that has plenty more action than simulation. The plot takes us to a zombie apocalypse in which the majority of mankind has turned into these infrahumans and you'll have to fight against them to destroy them from your car. Your goal is to advance towards a finish line so you'll also have to pay attention to driving, it's not only about killing. Customize your vehicle with armor and special shields, and wipe out whatever gets in your way, avoiding all the obstacles that may stop you. 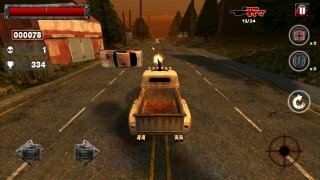 Once you download this APK to your smartphone or tablet, you'll soon realize that apart from zombies and shooting, the gameplay is very similar to other car racing games: you'll start off with a basic vehicle that you can improve as you advance in the game. To do so, you'll need money to spend in the store purchasing spare parts and accessories. Dozens of different zombies to be killed. Different cars to choose from. Loads of improvements, weapons, and accessories to turn your vehicle into an efficient killing machine. Control the game by means of on-screen buttons or your phone's accelerometer. Store to purchase improvements for your car. Complete missions or the game in infinite mode. Shoot against zombies or run them down. It's even more entertaining if you follow the natural development of the game, although some people prefer to install a mod APK to be able to hack the game and make the most of the different advantages available such as endless money.